The Puerto Rican people – on the island and the mainland – always loved Muhammad Ali. They respected his athleticism, courage and character. 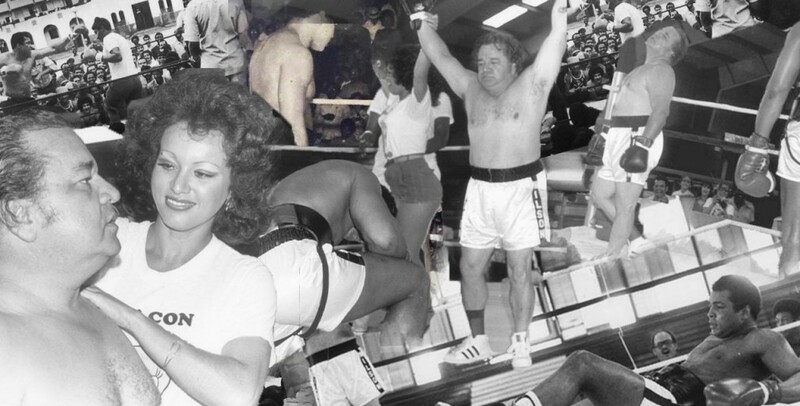 It all happened in 1976, when Ali visited the island for a championship fight. But what Ali didn’t count on, was a Puerto Rican champ named José Miguel Agrelot. In the pre-fight press conference Agrelot took off his jacket, pummeled Ali to the floor, and the heavyweight champ of the world had to be picked up by his entourage. Then in the main event, Agrelot knocked Ali out again. He stepped up fiercely and terrified Ali with his left hook. Iris Chacón tried to save Ali. She jumped into the ring, and gave him a pep talk. Agrelot pounded the champ without mercy, until he lay flat and beaten on the canvas. It was a very controversial knockout, but it did occur, and was reported in the press. Ali demanded a rematch but, for some reason, Agrelot could never find time in his schedule…and the rematch never happened. Muhammad Ali was a tremendous athlete, an extraordinary human being, and a great sportsman. He had a spectacular sense of humor, and he shared it with the world. Ali took time from his training schedule for his real fight in Puerto Rico – against Belgian heavyweight Jean-Pierrre Coopman – to promote and present this fight with Agrelot. It was a benefit match, to raise funds for a senior citizen center in Puerta de Tierra. The man who “knocked out” Ali, José Miguel Agrelot, was a much-beloved comedian known as Don Cholito. That is the kind of champion…the kind of person…that Muhammad Ali was. He was able to laugh at himself, and willing to share his time, and his wonderful sense of humor, to help other people. 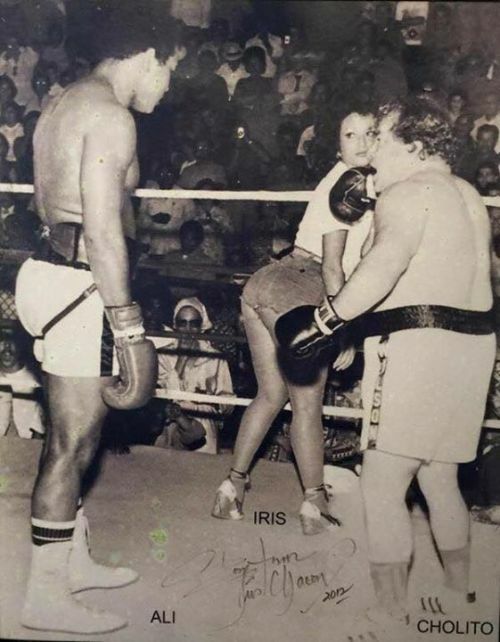 Every time that Ali was “knocked out” by Don Cholito, to help the local senior citizens, Ali became more of a hero to the people of Puerto Rico. It is impossible not to love, and not to miss, the great Muhammad Ali. Thank you so much for writing this article. I’m trying to piece together the past for my own memo and this has helped me significantly. You’re a gem for research. Keep writing! Always will hold Mohammed Ali in high regards for his love of Los Nuestros.